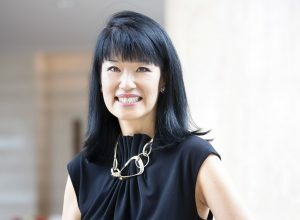 Su-Mei joined The Women’s Foundation as CEO in 2009. In addition she is a member of the Equal Opportunities Commission of Hong Kong, she serves on the board of Opera HK and she is a council member of The Cheltenham Ladies College, her alma mater. In 2013, Su-Mei founded the 30% Club HK, a group of chairmen and CEO leaders who are committed to bringing more women onto corporate boards. Su-Mei is the winner of the 2015 AmCham Women of Influence Award for Non-Profit Leader of the Year and the HKAH/Tatler Women of Hope Award for Power & Influence. She has also been recognised as one of Hong Kong’s 100 Most Influential People by Debrett’s and the SCMP. According to the World Economic Forum’s 2015 Global Gender Gap Report, we are 118 years away from gender equality in terms of labour market opportunity, education, health, and political clout. If we were to run the numbers just for Asia, it would take even longer. According to Mercer’s latest When Women Thrive, Businesses Thrive report, Asia is projected to have the lowest representation of women in executive roles in 2025 versus other parts of the world. Mercer surveyed 583 companies across 42 countries, including data on 3.2 million employees, and discovered women make up only 35% of the average company’s workforce at the professional level and above. In Asia, that number is 25%. Globally, women make up 33% of managers, 26% of senior managers, and only 20% of top executives. By comparison in Asia, women comprise just 23% of managers versus the 33% global average, 18% of senior managers versus the 26% global average and 14% of top executives versus the 20% global average. If current hiring, promotion and retention rates stay constant, female representation in Asia will reach only 28% at both the top executive and professional level and above by 2025, lagging behind all the regions of the world. A closer analysis shows that in Asia, women are being recruited into top jobs at over double the rates for men and retention rates for women in top jobs are also high with women two or three times more likely to stay than men. But the research also shows that in Asia, women are less likely than men to be promoted up through the organisation and employers are least likely, compared with other regions, to be focused on many of the drivers of gender diversity that we know are needed to move the needle like the engagement of middle managers and male employees, the adoption of rigorous pay equity processes or the review of performance ratings by gender to look for unconscious bias or institutionalised barriers. Additionally, the fact that women continue to disproportionately shoulder childcare and elderly care responsibilities is also contributing to the significant fall-off in female representation at senior levels. In Hong Kong, 31% of women cited caring for family members as the primary reason they dropped out of the workforce, and we are no exception to the region. Upon getting married, 22% of South Korean women drop out of the workforce and Japan has a whopping 70% of women who cite family reasons as why they left the workforce. At work, companies still tend to expect and reward long hours in the office — employees who work part time or ask to work remotely tend to be regarded as less committed and less ambitious. These attitudes are changing in the West but Asians are definitely lagging behind in terms of entrenched cultural attitudes to the role of women and men as carers and earners. There are many ways companies can tackle the gender gap. Traditional job design and evaluation metrics could leave business growth potential untapped, as the leadership competencies being evaluated are often more closely aligned with the relative strengths of men. Companies may need to update the competencies they are tracking to reflect the changing economy and these changes are likely to play more to the strong suit of women. Organisations are much less likely in Asia than in other regions to actively manage leave and flexibility programmes. Companies serious about gender equality also need to invest in building skills among their leaders and managers – male and female – to ensure they are adept at managing and celebrating the differences women and men bring to the table. Structures and interventions to manage bias need to be integrated at every stage of the employee life-cycle. An exciting and positive development in the last few years has been the emergence of male champions for change. Most of them are persuaded by the business argument that greater gender diversity makes for better business. Many are fathers of daughters who don’t want them to be disadvantaged. And some men can see that it is just plain wrong that in this day and age, women shouldn’t have the same rights as men. Whatever the reason, we need more men who are willing to advocate for women to have equal access to education and opportunities, more men who are willing to look beyond their old boys’ networks to give women a chance, more men who are willing to prioritise issues like having a clear office policy on sexual harassment or restructuring the workplace to allow women and men to have happier personal, professional and family lives, more men who are willing to mentor and coach women to accomplish their ambitions. At the same time, we need more men who are willing to share household chores and childcare responsibilities and more women who are willing to allow their partners to be equal partners and active fathers. The symbolism of having powerful male leaders as champions for change and the need to engage all men in bringing that change to pass is something that The Women’s Foundation has always promoted. In 2013, we launched the Hong Kong Chapter of the 30% Club –a group of male chairmen from listed companies who promote gender diversity on boards. We also recently launched the TWF Male Allies initiative – a group of male leaders who are committed to driving institutional change and taking personal action to create a more level playing field. We also produce best practice guides for companies on topics ranging from effectively leveraging women’s networks and creating impactful internal women’s mentoring programmes to structuring flexibility and parental leave programmes. On the supply side, we have a best-in-class cross-industry Mentoring Programme for Women Leaders which pairs 50 seasoned female professionals with 50 female rising stars for a year of one-on-one mentoring, peer learning sessions, and leadership development workshops. We also regularly host inspiring speaker talks and panel discussions covering a range of sectors and industries because having female role models at any career stage is important, and giving women visibility and a platform to share their expertise is equally important. There is no shortage of work to be done to create a level playing field for women in Asia. Thankfully, there are many tools, metrics, and examples of gender-sensitive companies to provide support along the way. As Asia tackles a shrinking workforce, environmental calamities, rapidly ageing demographics and a host of other economic and social challenges, it needs the talent and diversity of all its people to find innovative, sustainable solutions. Let’s get to work!